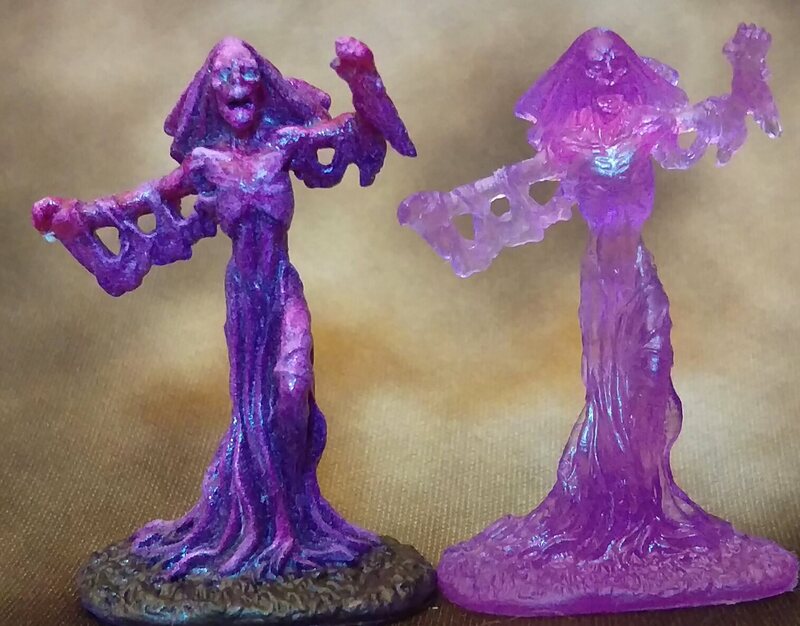 I’ve got a few of these miniatures from Reaper – 2 translucent purple ones, and one pewter one. I had all 3 out, so I decided to paint them up. 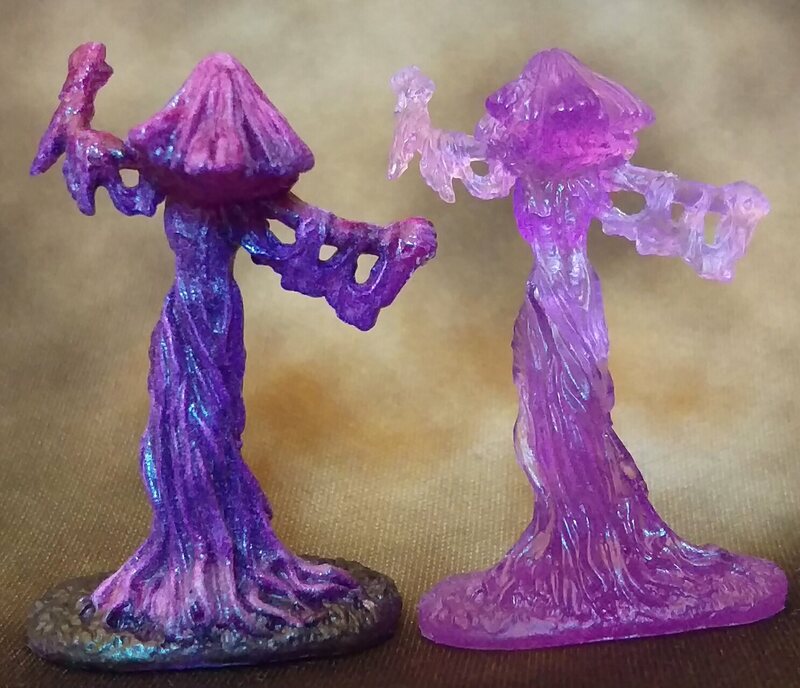 I’ve finished one purple mini (seen here with the other one, untouched). You can see the progress behind the cut.